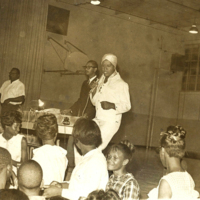 Originally a disc jockey for WGST (Atlanta), Zenas Sears purchased WAOK (Atlanta) in 1954 and developed the station for an African-American audience. 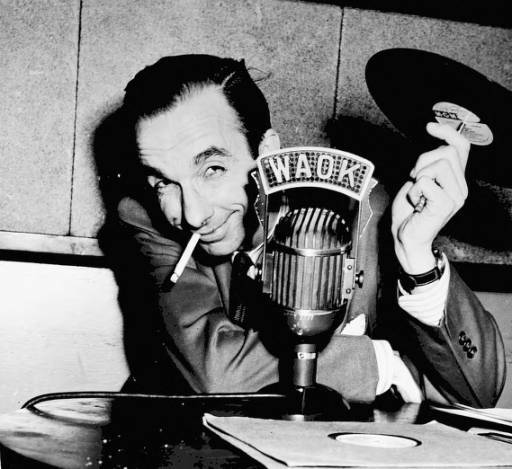 Zenas Sears purchased WAOK (Atlanta) in 1954. Though he was white, Sears was a lover of the blues and other African-American musical styles. 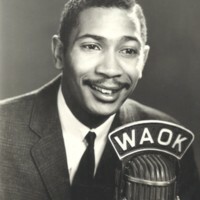 WAOK was one of the first stations in the country to primarily focus on blues, R&B, and gospel music. WEAS (Decatur) and WSOK (Savannah) soon followed. 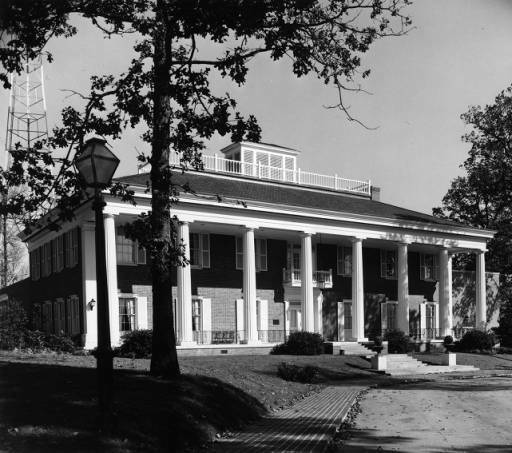 Many stations formed dedicated news departments in the 1950s. 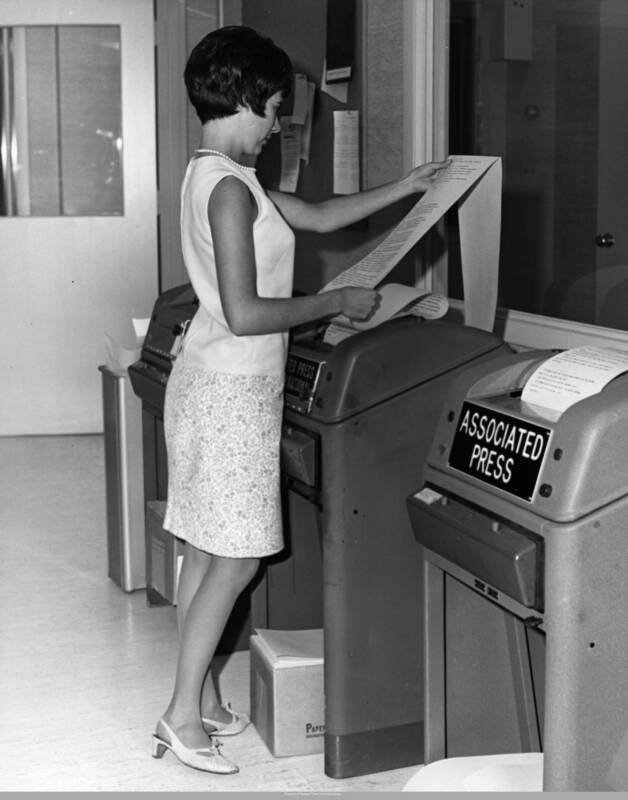 National news came in through teletype newswire machines from organizations like the United Press International and the Associated Press. 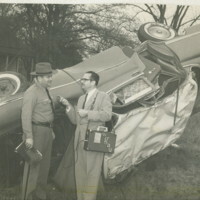 Reporters also received information about local news items through sources like police and fire departments as well as tips from listeners. Some stations, like WRGA (Rome), developed reputations for news broadcasting from unusual locations - including the middle of a swimming pool and the inside of a navy hot-air balloon. 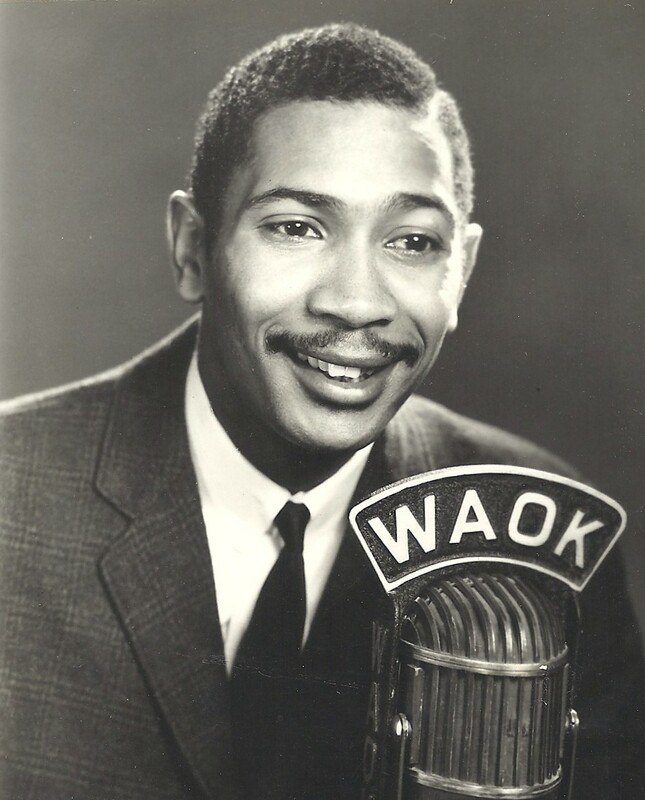 Beginning as an announcer, Burke Johnson later became program director and general manager at WAOK (Atlanta). 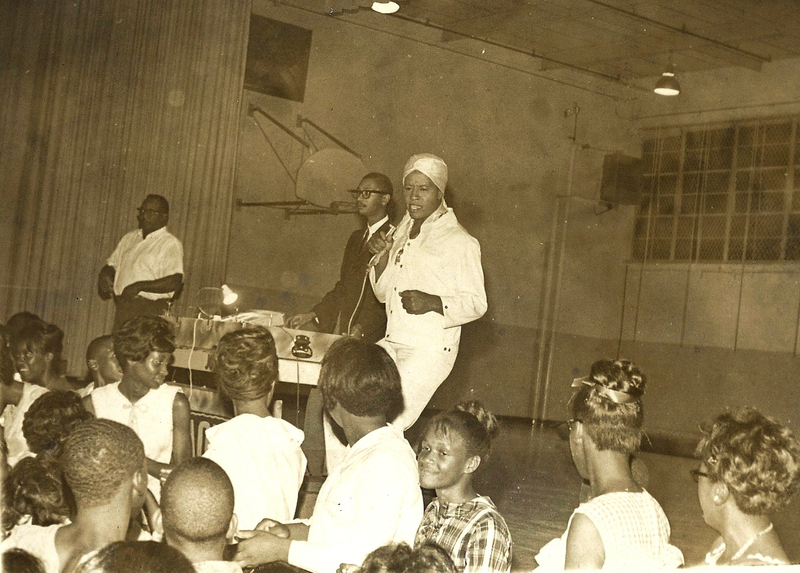 WAOK (Atlanta) hosted “record hops,” like this one with R&B performer The Mighty Hannibal. 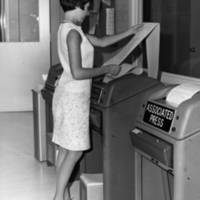 National news came in through teletype machines, where it was read by reporters and incorporated into broadcasts. Aubrey Morris came to work for WSB in 1957, and was the station’s premier news reporter for 30 years. 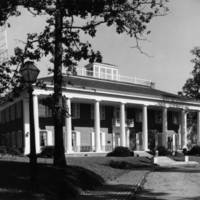 WSB offices moved to the White Columns building in 1956, bringing together their radio and television divisions. 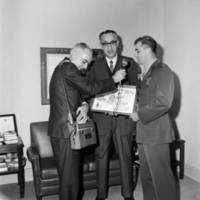 WGAU (Athens) newsman Randolph Holder was celebrated for his on-the-scene reporting.